1. Where (or what) is it? or 2. That hokey place where they play country music and eat BBQ. Called the Branson Chamber of Commerce for info. When told there is more live entertainment here than any other city(!) we decide it is time for a first hand look – and go for a one week immersion trip – goal: see and experience everything possible. 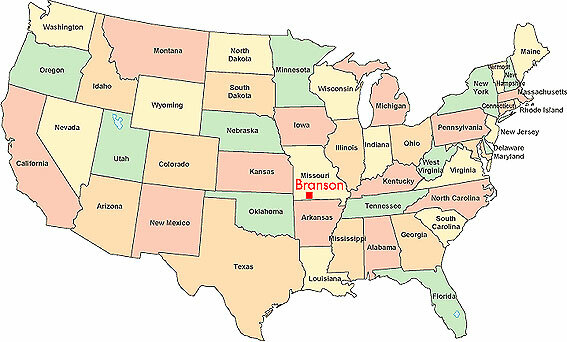 Boy, were we surprised — Branson is a don’t miss experience!! Below are highlights of what we experienced in our one week (not enough) visit. Click here for entire trip photo journal, or view each day’s photos. Read our trip diary; view each day and photos — enjoy as we did. All pictures taken by Photo Editor Mary Buttaro with Olympus C-5050 digital camera Olympus Cameras.